Created for DU by calling legend Buck Gardner, this collectible acrylic Black & Ivory Duck Call commemorates DU's 75th Anniversary. 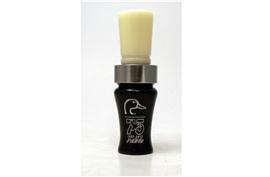 Available only through Ducks Unlimited. Supplies are limited. Please allow 4-6 weeks for delivery.